MarcellusProtest.org is an information clearing house about Marcellus Shale gas drilling and activism and related issues. Although this website's primary geographic focus is Western Pennsylvania, MarcellusProtest.org also includes content pertaining to the fives states in which the Marcellus Shale is located - as well as other Shale gas formations across the U.S.A. new social movement is in the making, and it's going national. On February 9 the Greene County and Washington County chapters of the Izaak Walton League presented a fine program on fracking and water pollution, with a notable list of speakers. "With a history of 60 years, after nearly a million wells drilled, there are no documented cases that hydraulic fracturing ('fracking') has lead to the contamination of groundwater." Brought to you by the team behind the upcoming South African feature documentary, Un•earthed, that is investigating natural gas development and the controversial method of extraction known as "fracking" from a global perspective. James Northrup 30 Year Veteran from the gas industry speaks out. GASLAND When filmmaker Josh Fox is asked to lease his land for drilling, he embarks on a cross-country odyssey uncovering a trail of secrets, lies and contamination. Fracking Hell: The Untold Story is an 18 minute investigative report by Earth Focus and UK's Ecologist Film Unit. 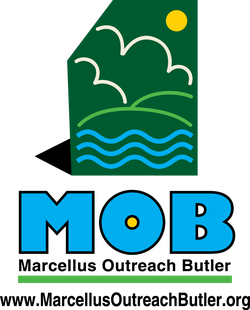 Former Pittsburgh Councilman Doug Shields spoke at the June 4th meeting of M.O.B. on the rights of municipalities to determine their own destiny. Butler, PA. Here are two video excerpts from his talk. Dr. Volz has over 30 years experience in occupational-environmental health; he received his initial training in Public & Occupational Health in the Department of Occupational Health at GSPH on a fellowship from the U.S. National Institute for Occupational Safety & Health (NIOSH). Dr. Volz holds an MPH & Doctor of Public Health degree from GSPH. After holding progressively responsible posts in private industry (National Steel Corporation), government (California OSHA Consultation Service) & non-governmental agencies (Western Institute for Occupational & Environmental Health Sciences, Berkeley California), Dr. Volz started an environmental health consulting company in 1984. He has worked in 24 different countries on 5 continents performing radionuclide transport studies, occupational / environmental contaminant/toxin exposure pathway analysis, exposure assessments, environmental risk assessments & engineer & policymaker training. This mapping system allows you to measure distances from well pad to you. Zoom in on Butler County and look for the red circles. Red circles mean that wells are drilled. Yellow circles mean that wells have been permitted. This site has detailed information on drilling sites and violations. Use the drop down menu in the upper right corner to search by county. FracTracker is a combination of a web-based "DataTool" for tracking & mapping data related to gas extraction & a blog for synthesizing that data. http://www.fractracker.org/ Center for Healthy Environments & Communities (CHEC) of University of Pittsburgh Graduate School of Public Health has been funded to assess the potential environmental & public health impacts of gas extraction activities in the Marcellus Shale formation, shows sites of gas drilling. You can do a simple search based on property owners and see if they have leased their land to oil & gas companies. This Report was issued on April 30, 2011. It notes that reporting by the industry remains voluntary and may be incomplete or misleading. A timely report on potential oil and gas development in the Marcellus Shale formation in northeastern Pennsylvania and southeastern New York. The following summary is based on an analysis of the potential health effects of products and chemicals used during natural gas operations. The names and possible health effects of the products and chemicals summarized. Old and New Hydraulic Fracturing: What's the Difference? Many gas industry representatives are saying that hydraulic fracturing (also called hydrofracking or simply “fracking”) is old, and has been used for years. People concerned about drilling in the Marcellus shale are saying this is a new process. Who is correct? They both are. The specific ways in which fracking threatens to compromise human rights. Geologist Robert Hinds Presents: The Realities of Unconventional Marcellus & Utica Gas Drilling (pdf) Robert Hinds taught geology and oceanography at Slippery Rock University for 32 years. Since retiring in 2002, he has taught geology classes for the Institute for Learning in Retirement in Slippery Rock. His presentation includes a partial listing of the “promises” the gas industry have made to the people of Pennsylvania. These include energy independence for the United States, financial wealth for property owners, clean environmental practices, and no gas related health problems for the local residents. He will compare the “promises” to the facts that have been documented and incidents that have already occurred in many localities. Can't Afford to Have Your Water Tested? Here's a group that might be able to help you. Dealing With or Preventing Burnout in Activist Work is from the Activist Trauma Support website.